Thought I was seeing double at Newport Middle School in Maryland, but it turns out there were FOUR sets of identical twins in the same year group. 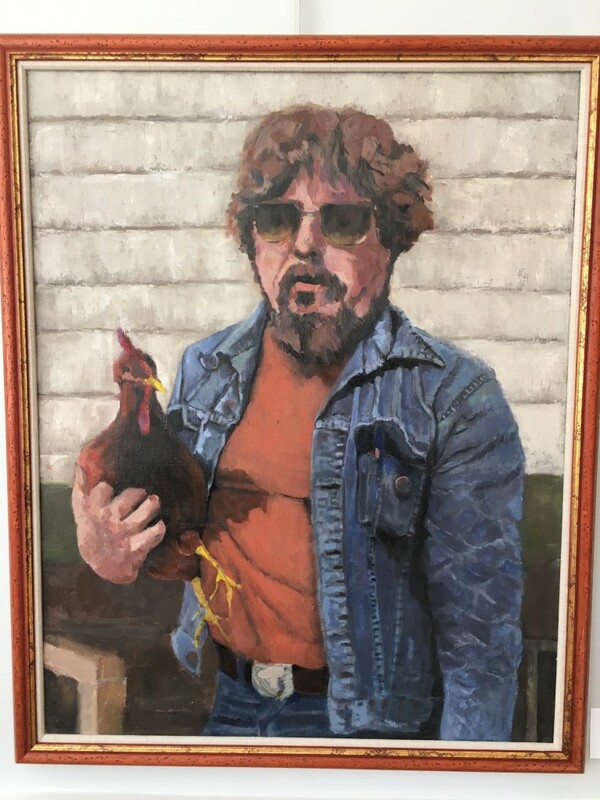 I also spotted this touching portrait, entitled "Uncle Michael", at a local restaurant. He must have really loved that rooster.